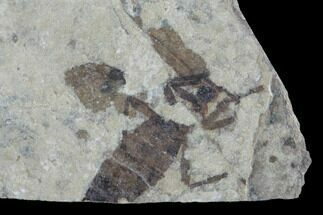 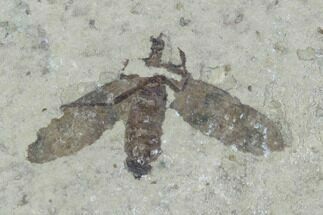 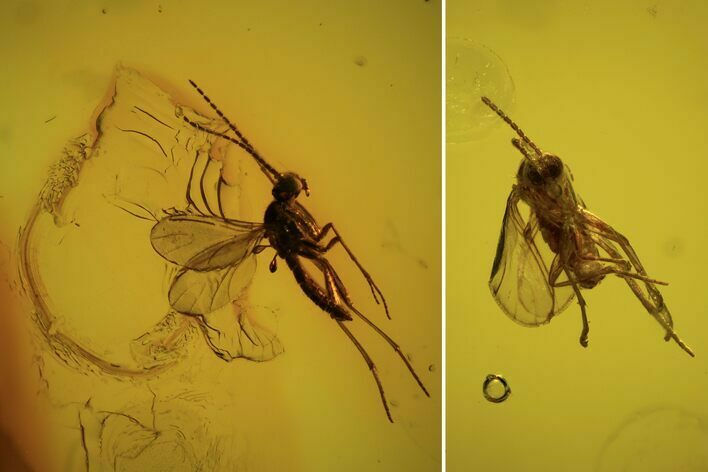 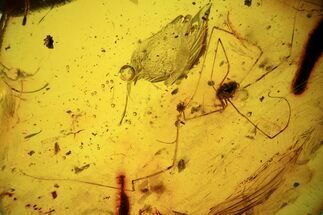 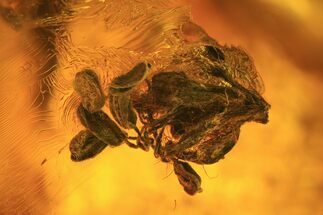 These are two detailed 44 million year old fossil flies (order Diptera) preserved in Baltic amber. 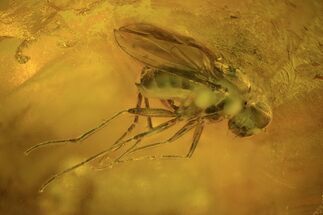 The length of the largest fly is about 2mm. 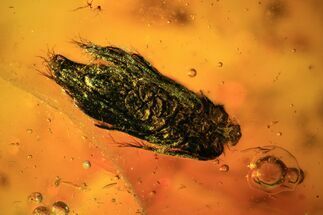 As a reminder, most inclusions in Baltic amber are extremely small so magnification will be needed to make out much detail. 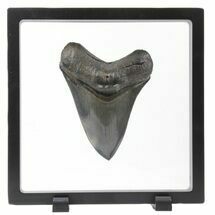 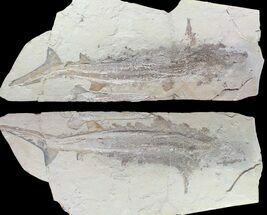 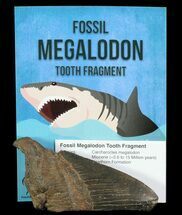 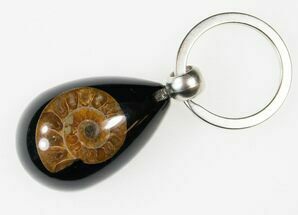 A physical photo of the specimen is included with your order and we will also email you a high resolution digital copy.